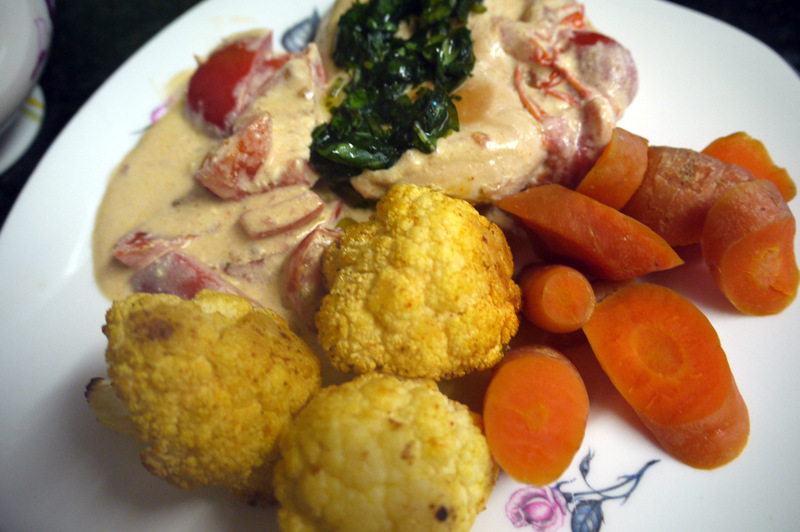 There is nothing complicated about this recipe idea for basil chicken, but there is everything sophisticated. I have used chicken breasts, but any boneless chicken pieces will do. In line with my "eat real food" principles, really chicken is better with its skin, because it is not a wholefood without the skin and your body needs and craves fats. However it is hard to find boneless chicken with skin, so the frying oils and the basil oil will to some extent compensate for this. Well if you can call it a recipe. I generally don't do exact recipes. It all depends on what you have in the cupboards, what you fancy and what you hate, and the size of your appetite/number of people at the table. First make your basil oil. 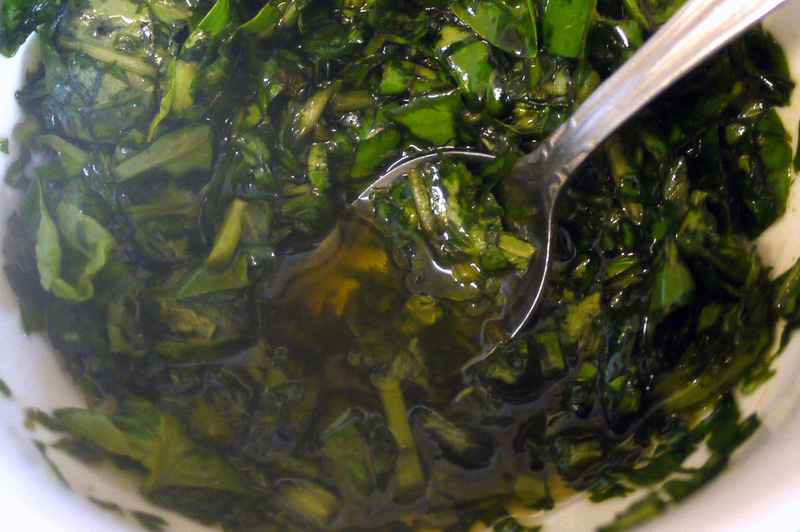 Take a good handful of fresh basil, chop it up roughly and pour over a good glug or more of olive oil. Leave that to one side to merge into a tasty basily/olivy flavour. As long as you have added plenty of basil, it should turn a screaming green colour. Put plenty of oil into a large frying pan and brown both sides of your chicken breasts, then leave to cook for about 20 minutes or until cooked through thoroughly, turning the meat every now and again. Chicken breasts have a kind of natural split in them , so if you want them to cook quicker open them out flat. 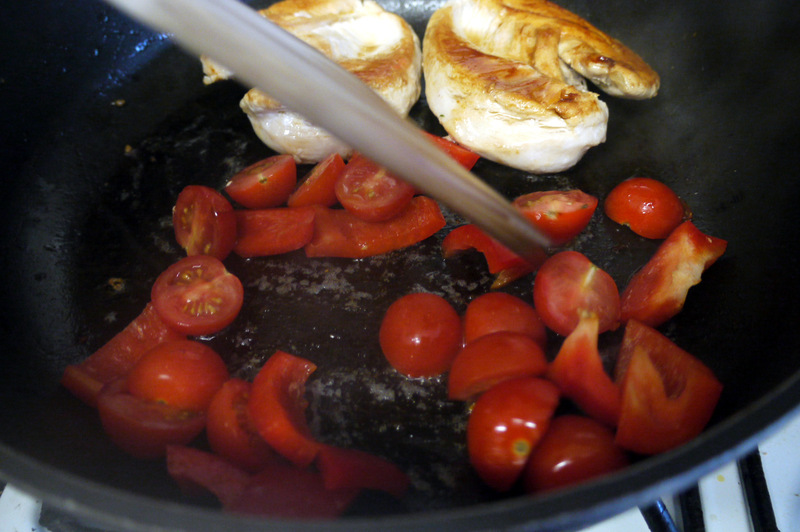 Throw in some halved cherry tomatoes, and/or any other vegetables you fancy and stir fry them for a few minutes. Then add a splash of water - just a splash mind you, no more. once the water has heated up, take the pan from the heat and add a generous dollop of full fat cream cheese. The original recipe suggests creme fraiche but I personally don't often keep that in the fridge and nearly always use cream cheese instead. Mix it in and return to the heat briefly just to heat it up. 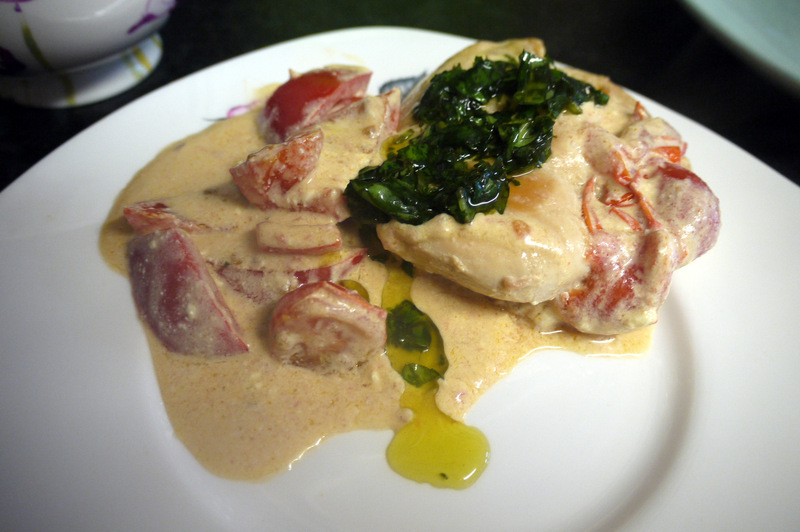 Alternatively, roast some chicken in its skin, forget the creamy sauce bit and just spoon the basil oil on top. I doubt you will use all the basil oil but it can be kept in the fridge for a few days and used to top all sorts of other dishes such as soup, toast, salads and roast meat.